Payal: I’m primarily a data addict. I fell in love with databases when it was first taught to me in high school. The declarative SQL syntax was intuitive to me, and efficient compared to other languages I had used (C and C++). I realized that if given the opportunity, I’d choose to become a database administrator. I joined OmniTI in summer of 2012 as a web engineer intern during my Masters, but grabbed the chance to work on an internal database migration project. Working with the DBA team gave me a lot of new insight and exposure, especially into open source databases. The more I learned, the more I loved my job. 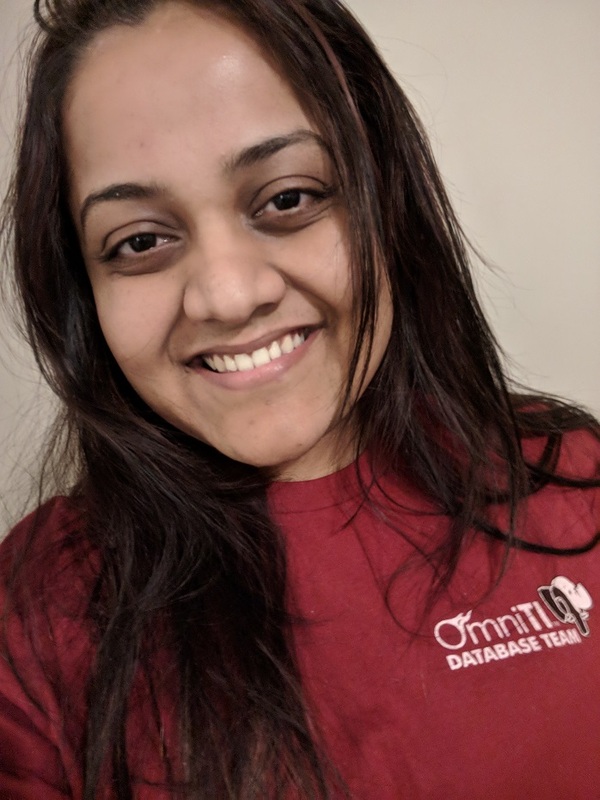 Right after completing my Masters I joined OmniTI as a full-time database administrator, and never looked back! Percona: Your talk is titled ” Securing Your Data on PostgreSQL”. Why do you think that security (or the lack of it) is such an issue? Payal: Securing your data is critical. In my experience, the one reason people using commercial databases are apprehensive of switching to open source alternatives is a lack of exposure to security features. If you look at open source databases today, specifically PostgreSQL, it has the most advanced security features: data encryption, auditing, row-level security to name a few. People don’t know about them, though. As a FOSS project, we don’t have a centralized marketing team to advertise these features to our potential user base, which makes it necessary to spread information through other channels. Speaking about it at a popular conference like Percona Live is one of them! In addition to public awareness, Postgres is advancing at a lightning pace. With each new major version released every year, a bunch of new security feature additions and major improvements in existing security features are added. So much so that it becomes challenging to keep up with all these features, even for existing Postgres users. My talk on Postgres security aims to inform current as well as prospective Postgres users about the advanced security features that exist and their use case, useful tips to use them, the gotchas, what’s lacking and what’s currently under development. Percona: Is PostgreSQL better or worse with security and security options than either MySQL or MongoDB? Why? Payal: I may be a little biased, but I think Postgres is the best database from a security point of view. MySQL is pretty close though! There are quite a few reasons why I consider Postgres to be the best, but I’d like to save that discussion for my talk at Percona Live! For starters though, I think that Postgres’s authentication and role architecture significantly clearer and more straightforward than MySQL’s implementation. Focusing strictly on security, I’d also say that access control and management is more granular and customizable in Postgres than it is in MySQL – although here I’d have to say MySQL’s ACL is easier and more intuitive to manage. Percona: What is the biggest challenge for database security we are facing? Payal: For all the databases? I’d say with the rapid growth of IoT, encrypted data processing is a huge requirement that none of the well-known databases currently provide. Even encryption of data at rest outside of the IoT context requires more attention. It is one of the few things that a DBMS can do as a last-ditch effort to protect its data in SQL injection attacks, if all other layers of security (network, application layer, etc.) have failed (which very often is the case). Payal: My talk is a run-through of all current and future Postgres security features, from the basic to the very advanced and niche. It is not an isolated talk that assumes Postgres is the only database in the world. I often compare and contrast other database implementations of similar security features as well. Not only is it a decent one-hour primer for people new and interested in Postgres, but also a good way to weigh the pros and cons among databases from a security viewpoint. Payal: I’m looking forward to all the great talks! I got a lot of information out of the talks at Percona Live last year. The tutorials on new MySQL features were especially great! 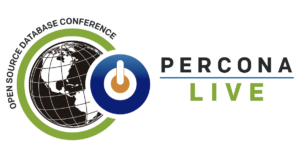 Want to find out more about this Percona Live 2018 featured talk, and Payal and PostgreSQL security? Register for Percona Live 2018, and see her talk Securing Your Data on PostgreSQL. Register now to get the best price! Use the discount code SeeMeSpeakPL18 for 10% off. 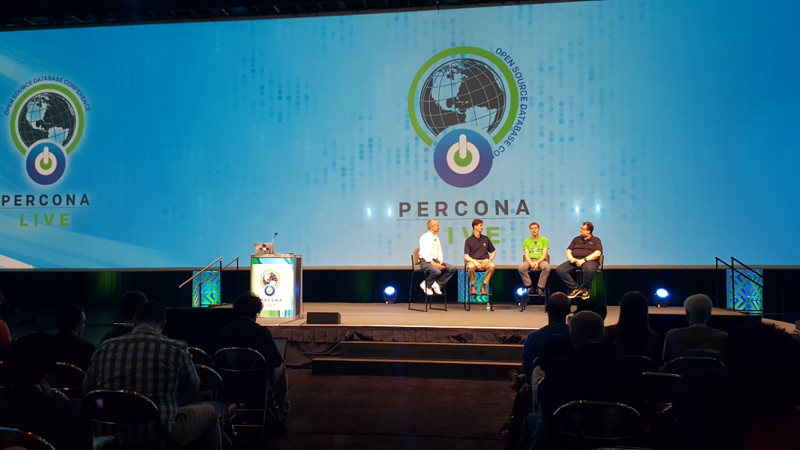 Percona Live 2018 Open Source Database Conference is held at the Hyatt Regency Santa Clara & The Santa Clara Convention Center, at 5101 Great America Parkway Santa Clara, CA 95054. The Hyatt Regency Santa Clara & The Santa Clara Convention Center is a prime location in the heart of the Silicon Valley. Enjoy this spacious venue with complimentary wifi, on-site expert staff and three great restaurants. You can reserve a room by booking through the Hyatt’s dedicated Percona Live reservation site. 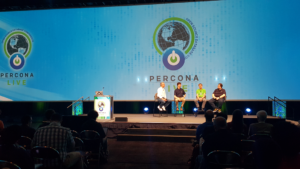 Percona Live 2018 Open Source Database Conference is the premier open source database event. The theme for the upcoming conference is “Championing Open Source Databases,” with a range of topics on MySQL, MongoDB and other open source databases, including time series databases, PostgreSQL and RocksDB. Session tracks include Developers, Operations and Business/Case Studies. Percona Live 2018 Open Source Database Conference will be held at the Hyatt Regency Santa Clara & The Santa Clara Convention Center, at 5101 Great America Parkway Santa Clara, CA 95054. Sponsorship opportunities for Percona Live 2018 Open Source Database Conference are available and offer the opportunity to interact with the DBAs, sysadmins, developers, CTOs, CEOs, business managers, technology evangelists, solution vendors, and entrepreneurs who typically attend the event. Contact live@percona.com for sponsorship details. The social events at Percona Live Europe provide the community with more time to catch up with old friends and make new contacts. The formal sessions provided lots of opportunities for exchanging notes, experiences and ideas. Lunches and coffee breaks proved to be busy too. Even so, what’s better than chilling out over a beer or two (we were in Dublin after all) and enjoying the city nightlife in good company? Percona Live Europe made it easy for us to get together each evening. A welcome reception (after tutorials) at Sinnott’s Pub in the heart of the City hosted a lively crowd. The Community Dinner at the Mercantile Bar, another lively city center hostelry, was a sell-out. While our closing reception was held at the conference venue, which had proven to be an excellent base. Many delegates took the chance to enjoy the best of Dublin’s hospitality late into the night. It’s credit to their stamina – and the fantastic conference agenda – that opening keynotes on both Tuesday and Wednesday were very well attended. In case you think we might have been prioritizing the Guinness, though, there was the little matter of the lightning talks at the Community Dinner. Seven community-minded generous souls gave up some of their valuable socializing time to share insights into matters open source. Thank you again to Renato Losio of Funambol, Anirban Rahut of Facebook, Federico Razzoli of Catawiki, Dana Van Aken of Carnegie Mellon University, Toshaan Bharvani of VanTosh, Balys Kriksciunas of Hostinger International and Vishal Loel of Lazada. More about the lightning talks can be seen on the Percona Live Europe website. Many of the conference treats – coffee, cakes, community dinner – are sponsored and thanks are due once more to our sponsors who helped make Percona Live Europe the worthwhile, enjoyable event that it was. And so Percona Live Europe drew to a close. Delegates from 43 countries headed home armed with new knowledge, new ideas and new friends. I’ve put together to give a taste of the Percona Live social meetups in this video. Tempted to join us in 2018? Welcome to another post our series of interview blogs for the upcoming Percona Live Europe 2017 in Dublin. This series highlights a number of talks that will be at the conference and gives a short preview of what attendees can expect to learn from the presenter. 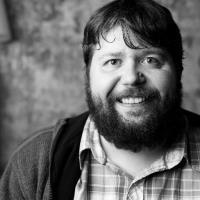 Balazs: I worked as an Operations/DevOps guy for years before I started working with databases. I guess it happened because I was the person at the company that I worked at the time who dared to deal with the database when something strange happened. Somebody had to hold the hot potato. I love that being a DBA is like being a bass player in a rock band. When you do your job perfectly, no one ever notices you are there – but the entire show depends on your work. Percona: You’re presenting a session called “Migrating To and Living on RDS/Aurora”. What reasons were crucial in the decision to migrate to a cloud platform? Performance? Less management? Database demands? Balazs: Actually, we migrated the entire Kinja (our platform) to the cloud, so migrating the database wasn’t a question for a second. We moved to the cloud because we didn’t want to deal with hardware anyway, we need flexibility. In the data center days, we had to size the DC’s to handle all of our traffic at any given moment. This means we had to burn a lot of money on underutilized machines. In the cloud, we can spin up machines when we need more computing power. In conjunction, our hardware just got old enough so that it made sense to consider what was a better idea: buying lots of expensive hardware, keep it running, dealing with the hardware (the majority of the ops team lives on a different continent than our servers!) or simply migrating everything to the cloud. That was simpler and safer. But we didn’t just migrate to the cloud, we also migrated to RDS – managed database service instead of servers with a database on them. The reason to start using RDS was that I didn’t want to re-implement all of the automation stacks we had on the data centers. That seemed like too much work with too many points of failure. When I checked how to fix those failure points, the entire project started to look like the Deathstar. The original database stack was growing organically in the given data center scenario, and reimplementing it for the cloud seemed unsafe. Percona: How smoothly was the transition, and did you hit unexpected complications? How did you overcome them? Balazs: The transition was smooth and, from our reader’s view, unnoticeable. Since the majority of my talk will be about those complications and the ways we solved them, I think it would be best if I answer this question during my session. But there’s a non-exhaustive list: we had to switch back from GTID to old-fashioned replication, we had to set up SSL proxies to connect securely the data center and the cloud environment, and after we had to debug a lot of packet loss and TCP overload on the VPN channel. It was fun, actually. Balazs: This session will be about how we had to change our view of the database, and what differences we met in the cloud compared to the hardware world. If somebody plans to migrate to the cloud (especially AWS/RDS), I recommend they check out my talk, because some of the paths we walked down were dead ends. I’ll share what we found, so you don’t have to make the same mistakes we did. It will spare you some time. Balazs: Three things: hearing about new technologies, learning best practices, and most importantly meeting up with the people I always meet at Percona conferences. There is a really good community with lots of great people. I am always looking forward to seeing them again. Want to find out more about Balazs and RDS migration? Register for Percona Live Europe 2017, and see his talk Migrating To and Living on RDS/Aurora. Register now to get the best price! Use discount code SeeMeSpeakPLE17 to get 10% off your registration.